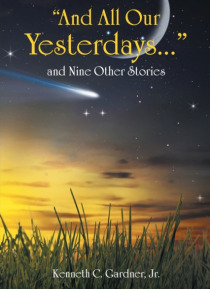 The stories in "e;All Our Yesterdays..."e; and Nine Other Stories continue to explore the lives of the Cockburn family and other characters in and around the fictional town of Menninger, North Dakota, first created in the novel The Song Is Ended and continued in the novel The Dark Between The Stars and the short stories in Meatball Birds and Seven Other Stories. While the events and the ch… aracters found in the ten stories exist in rural and small town settings, the themes explored have a universal appeal. Other ebooks releases by Kenneth C. Gardner Jr.